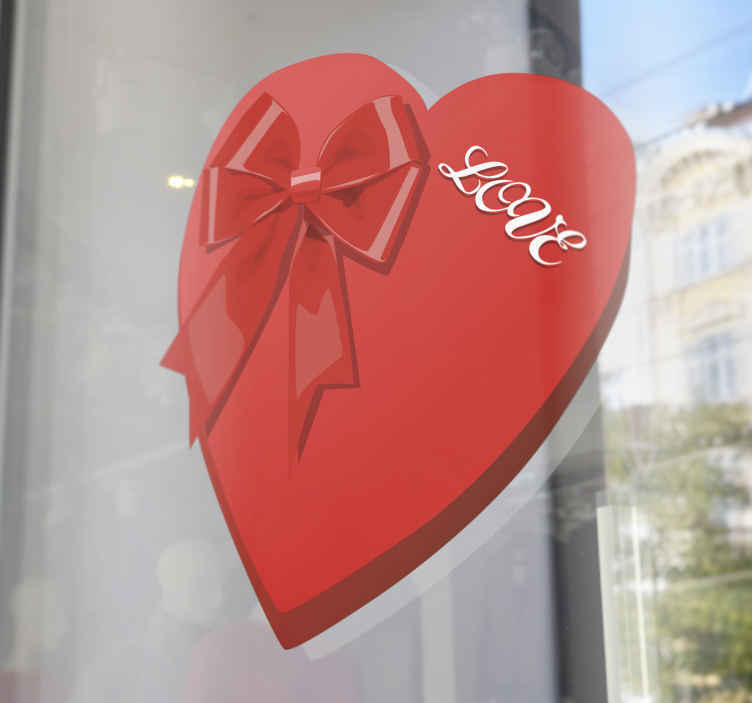 A brilliant heart window decal from our exclusive collection of heart stickers to decorate your home or your shop front window! If you want a nice wall decoration for Valentine's day or would love to give your establishment a new look then you found the right decal! This Valentine's box design is ideal to decorate your business and make it more attractive to clients. This decal is super easy to apply and leaves no residue upon removal.